Regardless of whether you are professional or amateur, if you plan to do some training and practice your swimming skills, Swimovate has rolled out a new Pool-Mate watch which could be a good assistant to you. This new swimmers’ watch features a micro computer and motion sensors which can accurately count your swim strokes and laps. The data will thence be stored and analyzed. Pool-Mate will be able to indicate to swimmers their session time, average strokes per lap, speed distance, calories burned and efficiency. All data recorded will be stored in the watch’s memory for review and further analysis. With gadgets like Pool-Mate watch, swimmers can fully focus on their practice session without diverting their attention to do the counting. They can gather their practice session data even without any assistants around. 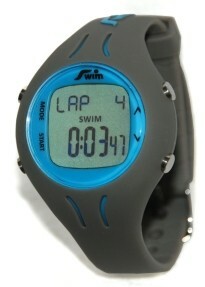 For a mere $114, swimmers can get the Pool-Mate watch which is available in two color codes – blue and grey. The battery for the watch is able to last for about 12 months and users are required to send it back to the manufacturer for replacement.